FW will reopen the Hincapie store to sell kits. Lee Raines has gotten approval to donate confiscated bikes to the Bridge Bike Program. 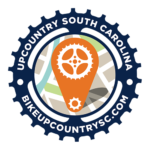 Andrew Danfy: SC Cyclocross Championship will be at Duncan Park. 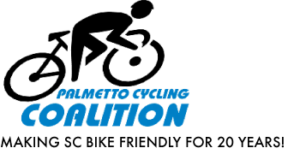 Andrew plans to host a gravel ride in Laurens County. Jim Hines: bank and paypal balance is just over $92,008.78. Safety committee is working on a smart phone app. It would include what to do’s and contact numbers for safety issues. Rob Brunken is evaluating several cameras for a recommendation. Still looking into body cams or bike cams. $50 subsidy for 50 people. 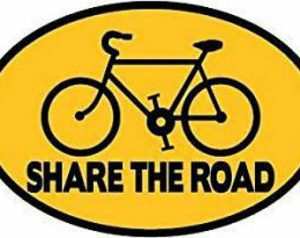 Paul Lefrancois: Cycling fatalities have been rising in SC. The state has allocated $5 million to bike infrastructure. Legislation: PCC is looking at breaking their bills into 3 pieces—cell phone use, vulnerable users, and infrastructure. PCC needs new office space in Columbia. There is a public meeting about the Country Club Rd. expansion 9/27/18 at 5 pm at Morningside Baptist Church.